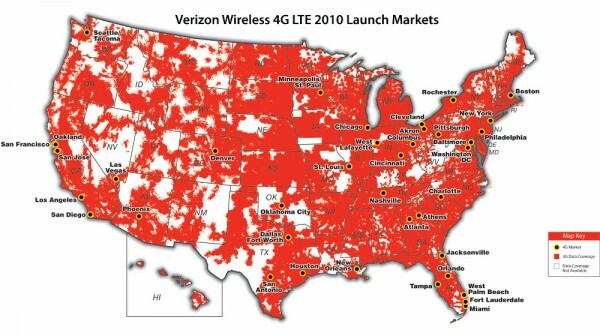 During all of Verizon’s 4G LTE device madness, they walked through their plans for rolling out their new network to the rest of the country. By the end of 2011, they are expecting to be in at least 140 markets and covering 2/3 of the U.S. once 2013 finishes up. The overall goal is to have 4G LTE access in every single spot that they currently offer 3G service in. Sounds brilliant, right? Well other than the 38 cities that are currently offered, what can we expect in 2011? If they plan to hit 140, they need to get going, right? That’s an additional 49 cities that will go live in the first part of the year and will be able to take advantage of some of the new devices like the HTC Thunderbolt and DROID BIONIC. No Oregon though, eh? I guess my Thunderbolt will be just as awesome in 3G. Anyone seeing their city on the list?